The buzz about capsule wardrobes has been around for about two years now – and the perks of slimming your closet are obvious: Spending less money, space and time on what you wear is downright brilliant. So far, so good. But how does a capsule wardrobe work in practice? I decided to find out more with the help of a little experiment. Maybe you’ve already noticed, but I’m completely into a minimalistic life these days: I have preferred “less” over “more” for quite some time now and I’m super happy with how it turns out. Owning only clothing I really love is the next point on my list and I’ll start by finding out what I already have and what I can make of it. 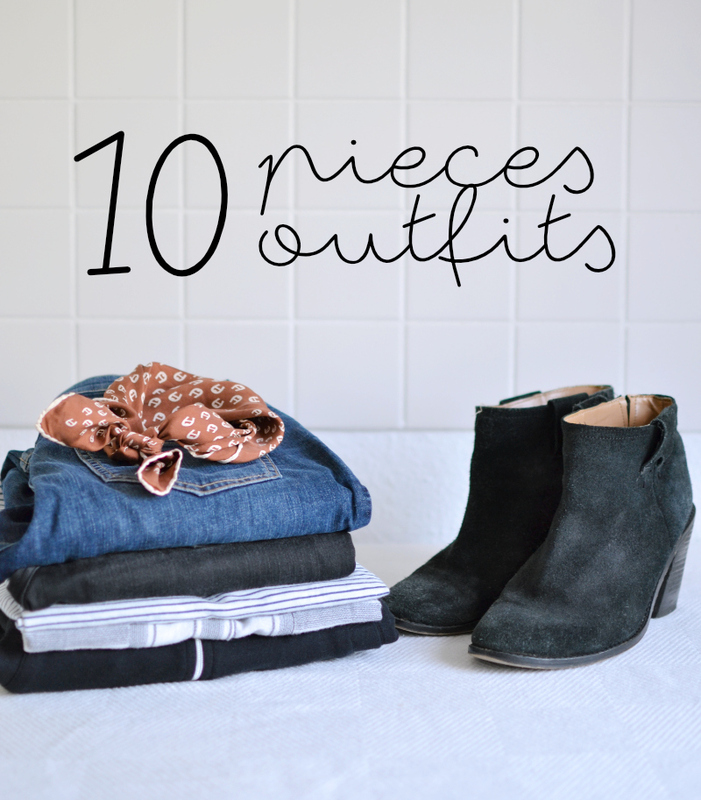 A little experiment (that I loved watching on Un-Fancy) is the perfect help to get started: Create ten different outfits with only ten pieces. All clothing and shoes count, accessories can be added to change the look a little. 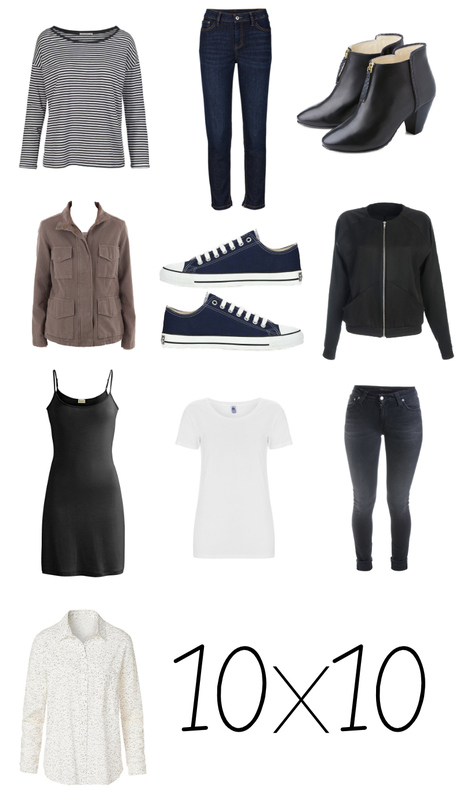 Maybe you’ve already discovered that not every piece of clothing is as suitable as the other so I’ve chosen to keep it simple for my (mini) capsule wardrobe. Seems to be pretty simple – find out how I’m doing with this challenge during the next days. You’ll find one of my ten outfits every day from tomorrow on. What do you think about capsule wardrobes? Have you tried to build one already?